If you’re headed to any holiday parties this year or are throwing your own get-together, today’s post is for you. I’ve partnered with Q-tips to help you look your best this holiday season with some really cool hair and makeup ideas that would be perfect for parties this season (and beyond). 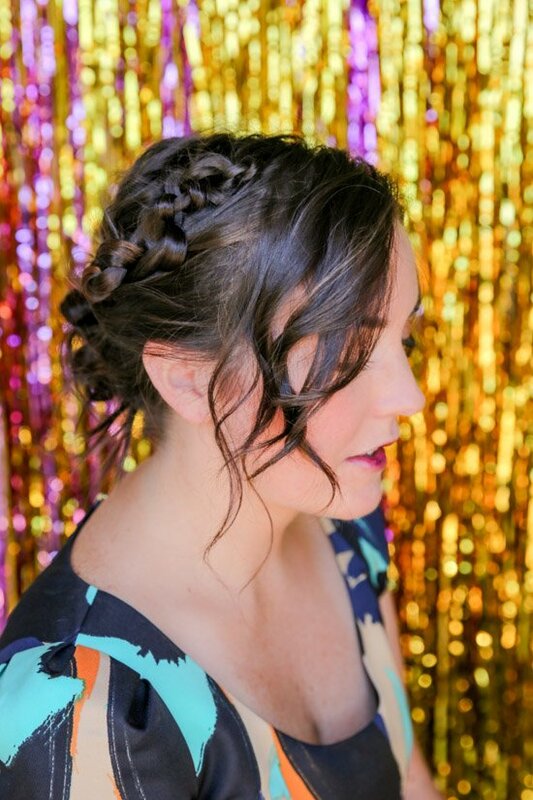 There’s a unique updo that I absolute love (especially because there’s no hair product required- bye bye hairspray) and a stained ombre lip idea that is oh-so-easy to replicate. 1. First, pick your favorite lipstick or lip stain. Then, dot it onto the center of your top and bottom lips with a Q-tip cotton swab. I love that you don’t need any fancy makeup brushes to complete this look. Makes it so easy to recreate. 2. Next, feather the lipstick out with a Q-tip, so that it disappears as it gets toward the edges. 3. 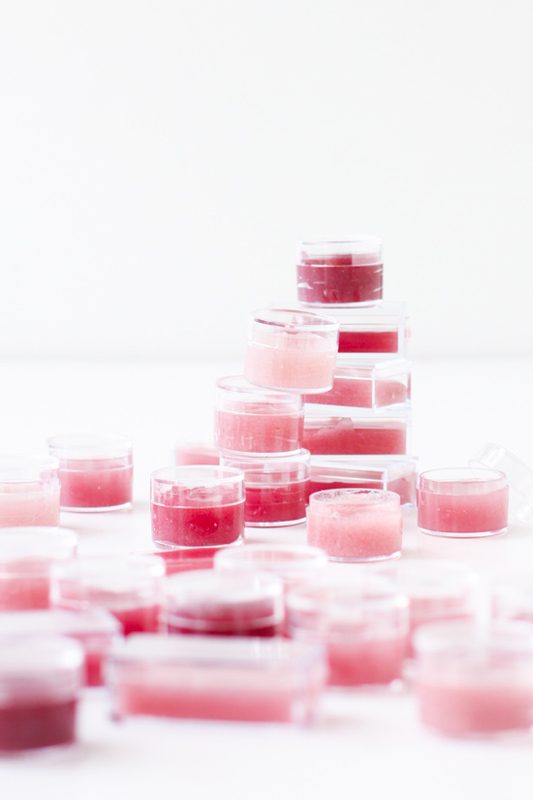 Top with your favorite lip gloss. Done! 1. Curl your hair with a large barrel curling iron or wand. Then section out pieces that you want to keep out in the front. 2. Next, starting on one side of you hair take two small strands toward the front and then simply tie them in an over or underhand knot. 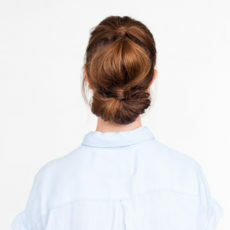 Then grab a new section of hair and add it to one of your existing strands and then tie another knot. 3. 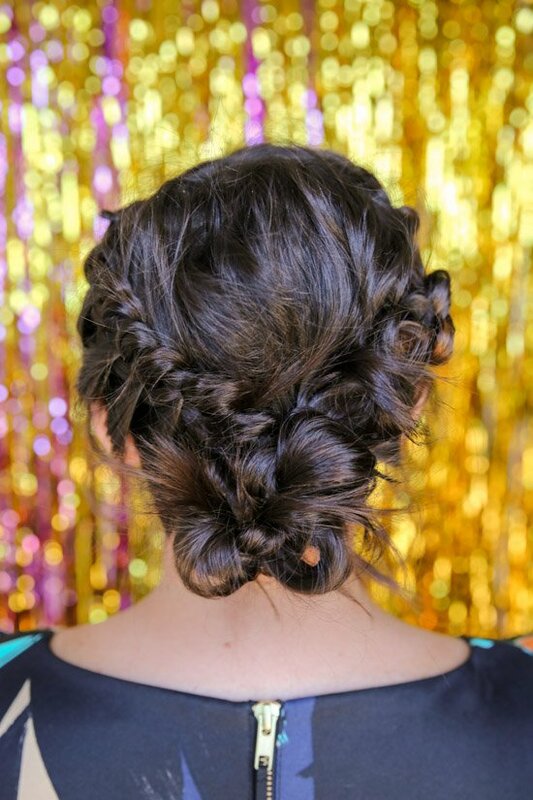 Next, grab a new section of hair form the other side of your knot braid and tie another knot. 5. Next, add a small elastic or rubber band to the end to secure. 6. Repeat steps 2 through 5 on the opposite side of your head. Then take the ends of each side and pin them up with bobby pins at the nape area. N ow, you can go back and pull the braid / knots a little bit to give it a messier look. Additional Tips: As you’re knotting, remember that messier is better. No need to try to get it looking perfect. Also, for a messier look, alternate between overhand and underhand knots. And for a cleaner look, consistently do only underhand knots. Now that you have hair and makeup done, you’re good to go for this year’s holiday Christmas party photo booth, dinner with friends and family, etc. 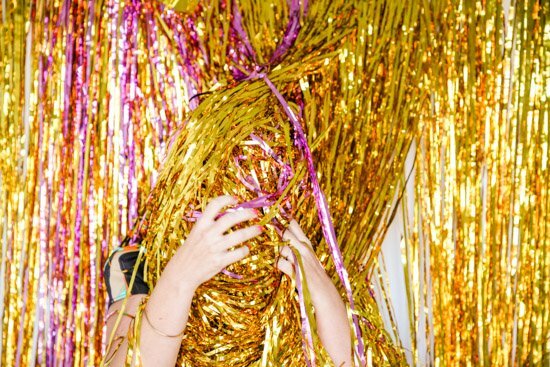 And if you’re throwing your own party and need some photo booth inspiration, I have one last DIY(ish) idea for you. 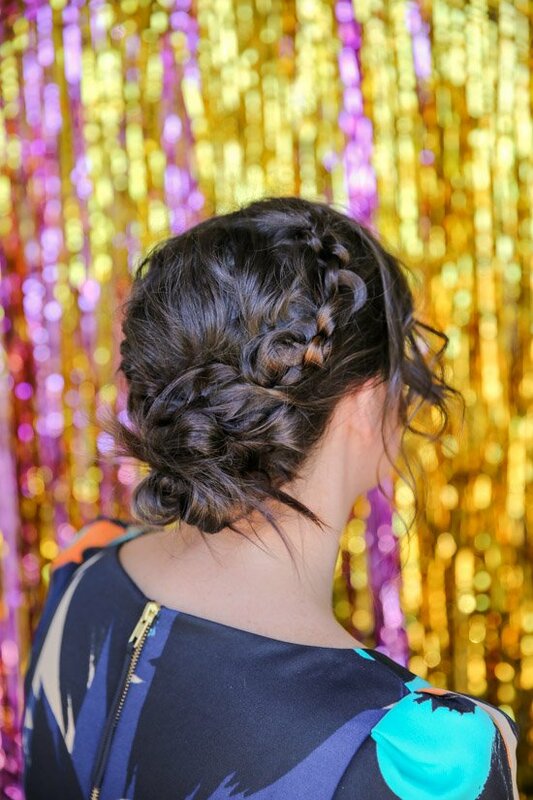 Three words: foil fringe curtains (which you can buy right here on Amazon). 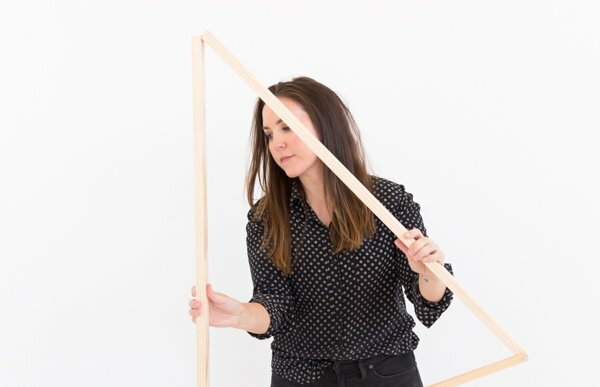 This will make setting up a photo booth backdrop so quick and easy. I bought 8 foil fringe curtains and simply attached them to the wall, in a staggered pattern, to create a full look. Way easier than DIYing a backdrop from scratch and looks just as good. Right? 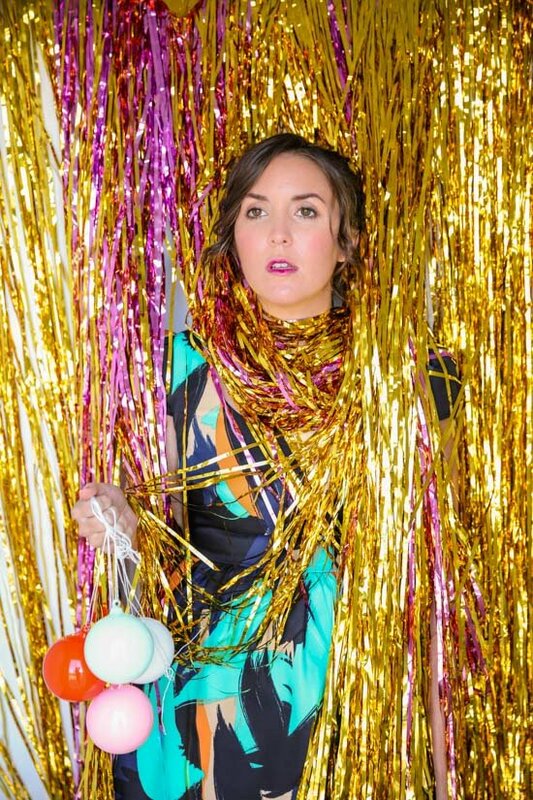 What do you think of these DIY holiday looks? 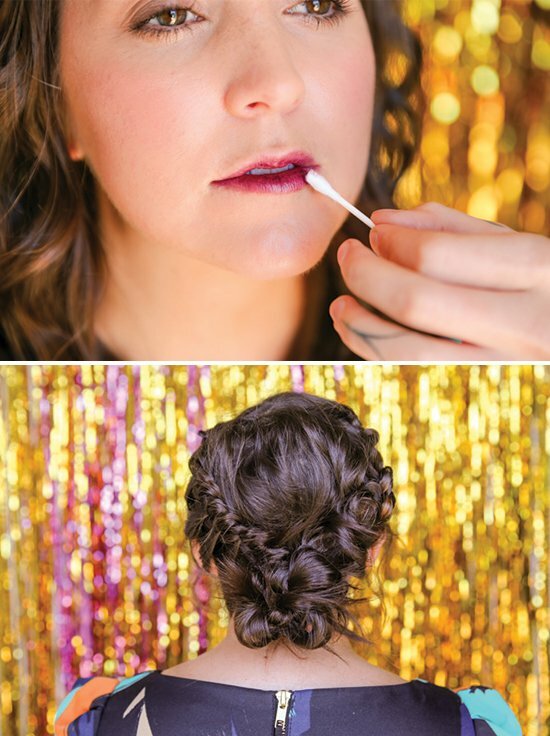 I love the stained lips idea, and of course the hairdo (although I could never do it myself)! Thanks Michelle. Well, at least the stained lips are SUPER easy, right? 🙂 The hairdo isn’t as hard as it looks. Promise. Thanks Paige. Katie did a great job with the hair and makeup. Brittni, What a great look just in time for the holiday season. You look lovely. Aw, thanks Pat. I appreciate that. Wow, that’s great hair & makeup ideas for look great on everyone. Thanks to share it,.